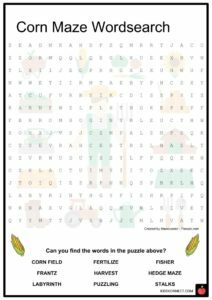 A corn maze or maize maze is a maze cut out of a corn field. The first corn maze was in Annville, Pennsylvania. A corn maze or maize maze is a maze cut out of a corn field. The first corn maze was in Annville, Pennsylvania. Corn mazes have become popular tourist attractions in North America, and are a way for farms to generate tourist income. 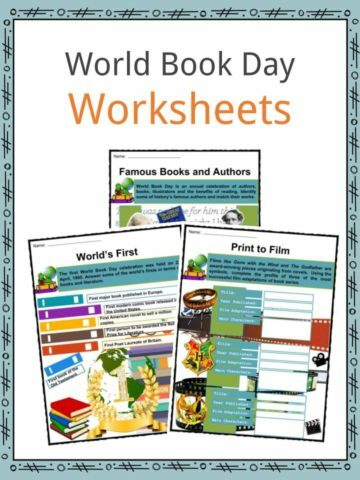 Many are based on artistic designs such as characters from movies. 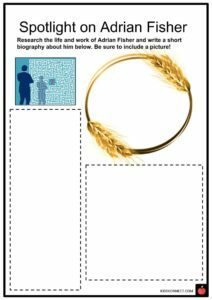 See the fact file below for more information on the corn mazes or alternatively, you can download our 18-page Corn Mazes worksheet pack to utilise within the classroom or home environment. Mazes and labyrinths (elaborate and confusing circular maze structures) date back over 4000 years ago to the time of ancient Greece and Rome. During Roman times, mazes and labyrinths were seen in artwork, home flooring, pavement on streets, and into the earth. Ancient Romans designed a lot of their floors and streets with maze-like patterns. It was believed that although beautiful and puzzling, the mazes were actually used for rituals and processions. Later appearances of mazes were found in artwork and architecture in French cathedrals, Scandinavian labyrinths, and even inspired gardens in Europe. Garden mazes began to pop up throughout Europe in the wealthiest castles and palaces as a way to amuse their inhabitants. Louis XIV’s palace at Versailles included an elaborate labyrinth in the garden, which is said to have been inspired by Aesop’s fables. One of the finest examples of garden mazes can be found in the gardens at Hampton Court Palace in England, (pictured to the right), which was first planted by William III in 1690. 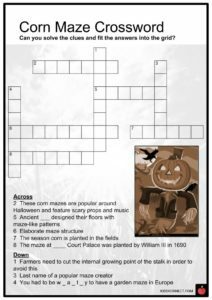 By the 18th century, hedge mazes became increasingly popular in England and Europe, but it took some time before the concept came to America, at which point it took the form of a corn maze. In 1993, the first modern corn maze was created by Don Frantz and Adrian Fisher, which inspired a worldwide fad of corn mazes. 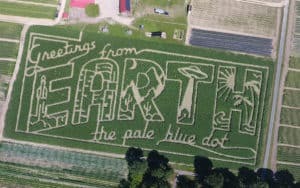 Their corn maze was constructed on only 3 acres of land and had 1.92 miles of pathway. The maze received accreditation in the Guiness Book of World Records for being the world’s largest corn maze. The record now belongs to Cool Patch Pumpkins for their 60 acre maze in Dixon, California in 2014. One of the differences between corn mazes and traditional hedge mazes is that in a corn maze, the stalks are typically cut to form a pattern that can be distinguishable from a birds-eye view, whereas a hedge maze typically follows a geometric pattern. 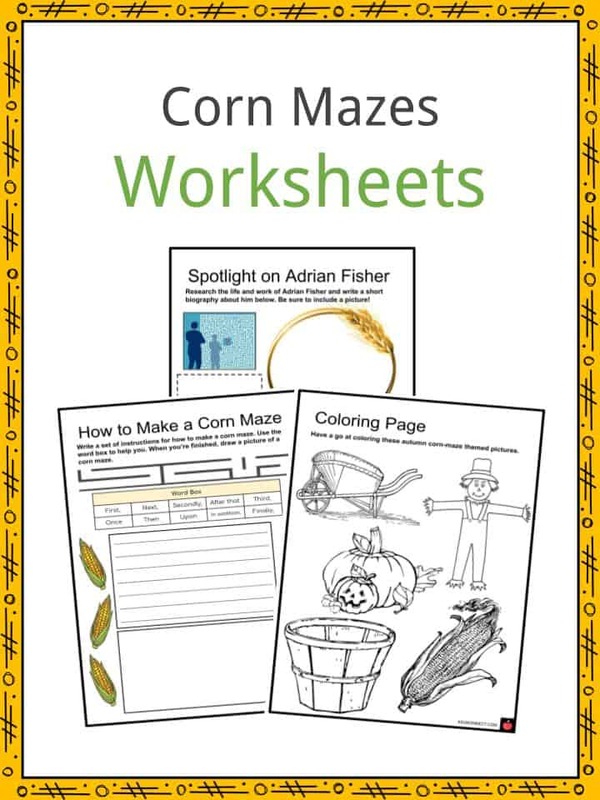 Corn mazes are a way for farms to generate tourist income, and are also used as an attraction at Halloween-themed events and festivals across North America and the rest of the world. Some mazes are created to tell a story or portray a theme; some are inspired by books, movies, or time periods. 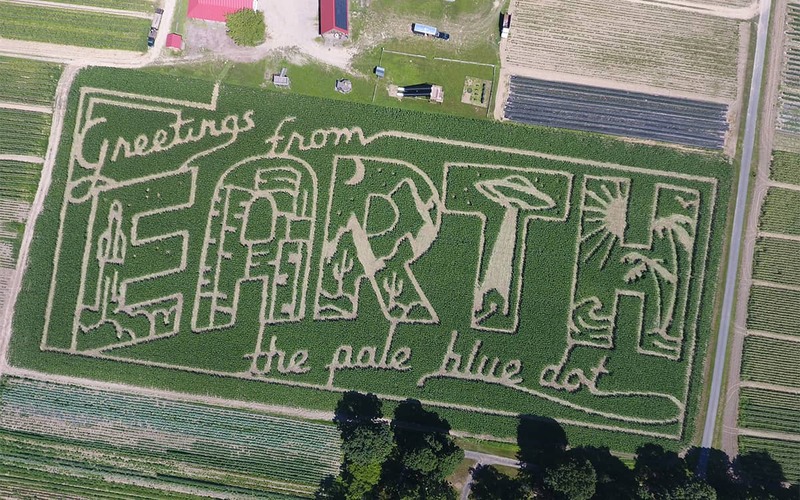 Most corn mazes have a path that goes around the whole patten, with trails diverging from the main path. A haunted corn maze is identical to a regular corn maze, but it typically includes actors that scare guests. These haunted mazes can also include props, special effects, and scary music. Typically, haunted mazes are open after dark so that guests can have a scarier, more daunting experience. 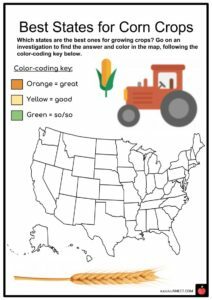 HOW IS A CORN MAZE MADE? In the spring, corn is planted in a field in a grid-shaped pattern. Planting the correct type of corn is very important for the success of a corn maze; the stalks must be strong, and grow to be high enough to make a successful corn maze come summer. Stalk rot is one of the most popular diseases corn stalks can get – farmers must be aware of this and monitor their crop regularly. Factors that contribute to stalk rot include moisture stress (brought on by lower levels of water in a plant’s cells, usually due to its inability to absorb water), improper fertilization and the rapid development of disease. Corn planting for the use of creating a maze should be planted about 2-3 weeks later than crops being planted for grain – this should happen around mid to late May in the northern hemisphere, and mid to late November in the southern hemisphere. When the corn is about 6 feet tall, the maze pattern is mowed out. When cutting the walkways, farmers must make sure to cut off the internal growing point of the stalk in order to avoid regrowth. Weed killer needs to be applied after cutting so the corn will not grow there for the rest of the season; the remaining corn will be able to grow up tall around the maze pattern. 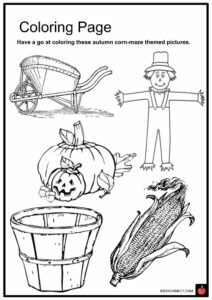 This is a fantastic bundle which includes everything you need to know about corn mazes across 18 in-depth pages. 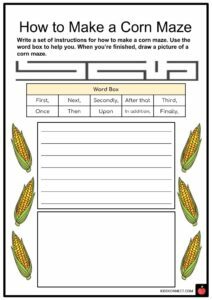 These are ready-to-use Corn Mazes worksheets that are perfect for teaching students about the corn maze or maize maze which is a maze cut out of a corn field. The first corn maze was in Annville, Pennsylvania. Corn mazes have become popular tourist attractions in North America, and are a way for farms to generate tourist income. Many are based on artistic designs such as characters from movies.